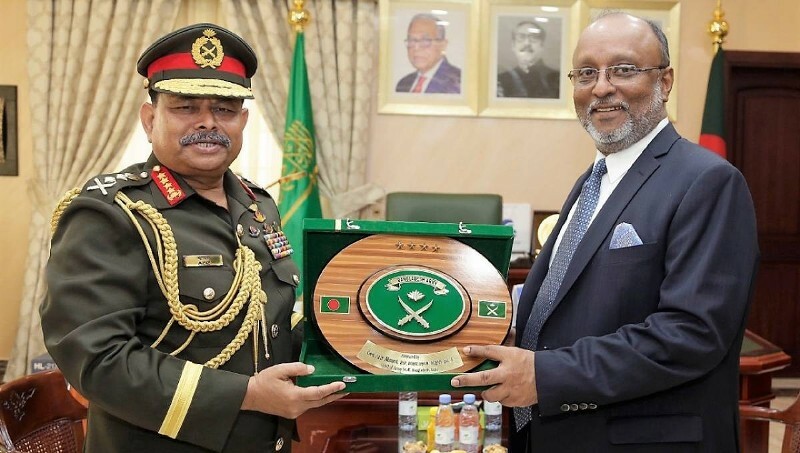 In a bid to please her colonizing master America, (Awami League) AL government has decided to send some 1,800 Bangladeshi troops to the southern provinces of the Kingdom of Saudi Arabia along the border of war-torn Yemen. Chief of Army Staff Gen. Aziz Ahmed disclosed this news while visiting the newly constructed chancery of the Bangladesh embassy in Riyadh on February 3, 2019 and said that both the countries were set to sign a defense pact on February 14 to further bolster military cooperation (The Daily Star, February 05, 2019). It seems obvious that Hasina government is eager to support another criminal agent of her master – the usurper of the two Haramain – and her agendas in the struggle for power and wealth in that region as the Bangladesh Army chief also named four military officials, including a brigadier general, to be joining the notorious Saudi-led Islamic Military Counter Terrorism Coalition (IMCTC), which was formed only to engage in America’s proxy wars and “War on Islam”. Next PostQ&A: To whom the Zakat of Livestock is Paid in the Absence of Khilafah!